Contemporary square edge handle pull by Richelieu. Easily integrates into any dicor to provide an updated look to kitchen cabinet doors and drawers. Contemporary bow pull by Richelieu. This pull will give a distinguished look and feel to any kitchen or bathroom cabinet. Contemporary metal pull by Richelieu with cylindrical handle on two posts all in a brushed nickel finish. This clean and simple look works well in any kitchen or bathroom dicor. 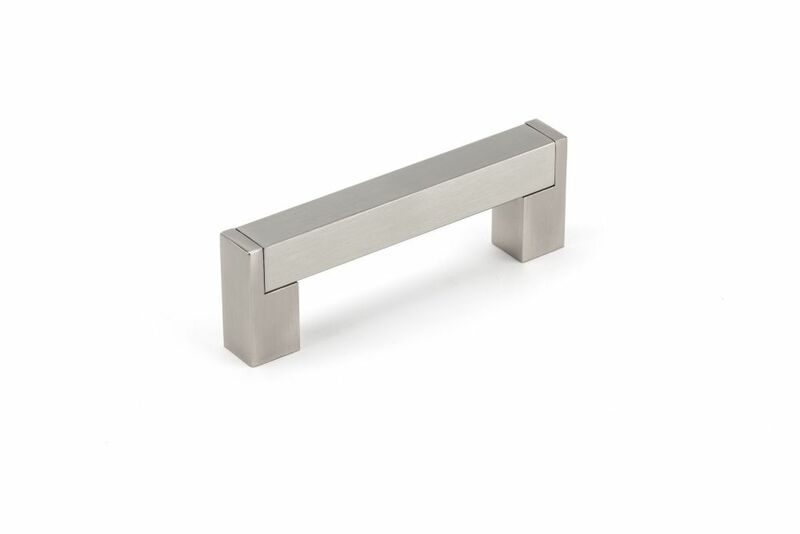 Contemporary Stainless Steel Pull 3 3/4 in (96 mm) CtoC - Brushed Nickel - Lipari Collection Contemporary square edge handle pull by Richelieu. Easily integrates into any dicor to provide an updated look to kitchen cabinet doors and drawers.